The peonies are really getting going this week. There are so many varieties opening. Here is a selection of my favorites this week. We got some rain after a dry spell, and the foliage and flowers look lovely. Likely due to our confusing spring warm up then cool down, some early season peonies are opening a bit later this year in the mid season. Peony 'Lavender is always one of my favorites because of its unique color. 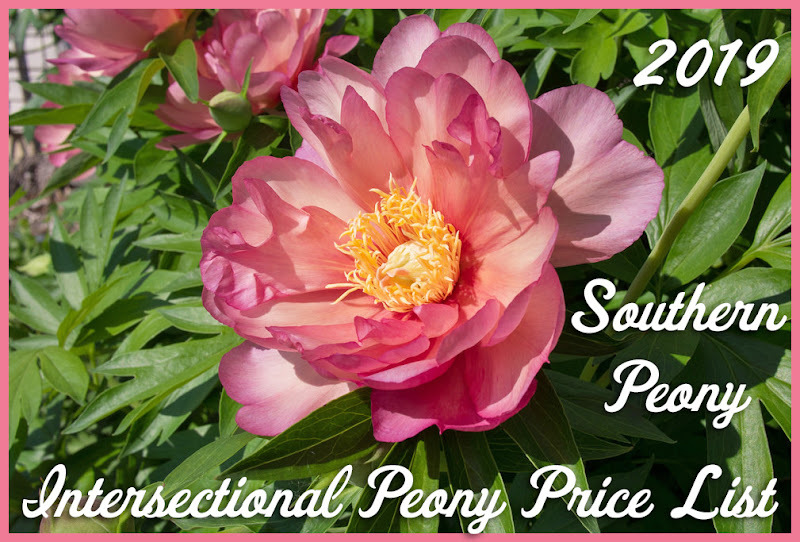 Peony 'Pink Kisses' and Peony 'Mahogany' are both new to my garden this spring, and they are both lovely Peony 'Mahogany' being the 2015 American Peony Society Gold Medal Winner. However, 'Pink Kisses' blooms are very impressive. Peony 'Golden Frolic' is always a very attractive plant both in flowers and in its 2016 Colorful Spring Peony Foliage. Peony 'Lovely Rose' usually blooms a bit earlier. However, it is always lovely in my garden as a Southern Peony Best Performer 'Lovely Rose', and it did superbly again this year. 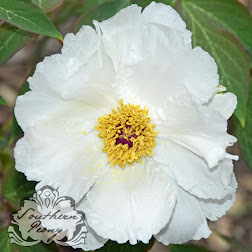 Peony 'Cream Delight' has a lovely elegant and timeless bloom with a nice hint of cream to the petals. I just love the shape of Peony 'Green Lotus' and Peony 'Pink Spritzer'. They both grow so well in my garden, and the petal and blooms last much longer than any other peonies in my garden. They hold their petals, and the blooms will still be on the plant weeks later. So as more and more blooms open, they just increase in number instead of a turnover where some blooms fall off over time (like most other peonies).